Axminster will soon have a new, modern Heritage Centre attraction designed to appeal to residents and tourist visitors of all ages. 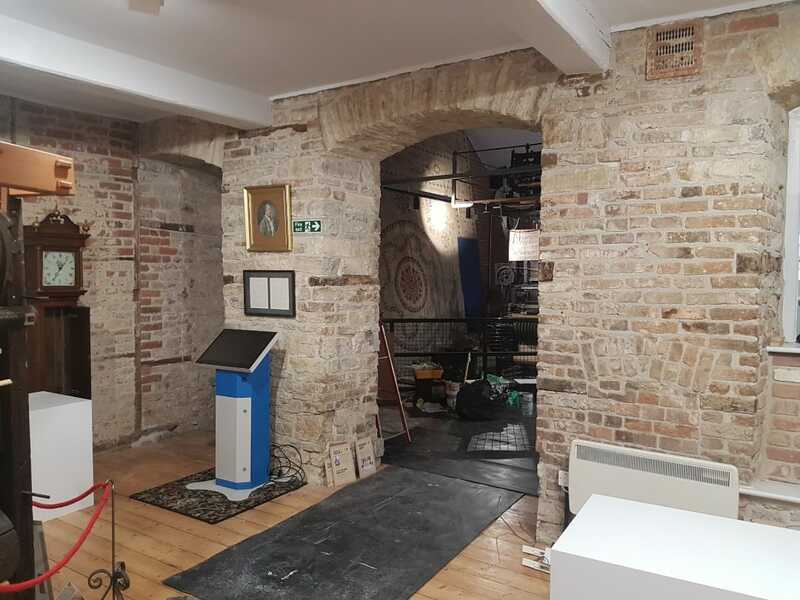 After several years of planning and fund raising, the final phase of the restoration of Thomas Whitty House and the creation of a modern interactive display exhibition is now in its final stages of build. The new Axminster Heritage Centre will open on April 6th, in time for the Easter holiday period and entry will be free until April 18th. Celebrations around Trinity Square are planned including a street market, brass band and the Town Crier will help announce the opening of the new centre. The Minster bells will also be rung, a tradition which goes back hundreds of years, as when Axminster’s original carpet maker Thomas Whitty finished a major commission it would be paraded through the streets and the bells rang out in celebration. Visitors to the new heritage centre will be able to take a trip through time to learn what has made Axminster and the surrounding area what it is today. Children can enjoy their own trail with dressing up points and interactive activities. A special focus on the town’s carpet industry includes a 1930s Crabtree Axminster carpet loom, which will occasionally be run for visitors. The previous temporary gallery display area has been considerably enlarged and this new modern interactive attraction should now have a much wider appeal. A small shop and the Information Point for Tourists and local residents will be located in the new reception area, entered via the original carriageway. The old Drill Hall has also been restored, and a mezzanine floor added for conservation, research work, storage and a new office. A programme of ‘Heritage Alive’ community events continues throughout the year. Local volunteers will continue to run the attraction and the centre manager would be pleased to hear from anyone, whatever your skill set or time commitments, who would like to join the existing friendly team. Full training will be given, call Nigel Sadler for a chat on 01297 639884. Celebrations within the town centre are now being planned for April 6th the official opening will take place at 12.00 noon, but the Heritage Centre will be open to the public from 10.00 am.